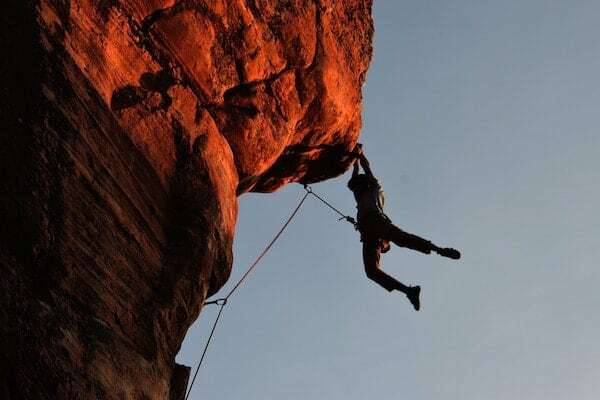 For many people, rock climbing is a fringe activity: high up on a cliff, with little more than a rope and harness keeping you off the ground, it’s certainly not for everyone. But, if you’re interested in climbing, figuring out where to start can be pretty overwhelming. 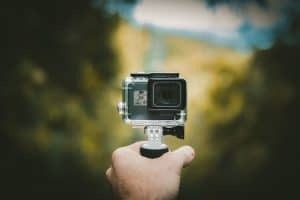 Although the untrained eye might not be able to discern the difference between the different types of climbing, it turns out that there’s much more to climbing than meets the eye. When it comes to rock climbing, there are three main disciplines: bouldering, sport climbing, and traditional (trad) climbing. Bouldering is precisely what it sounds like - it's a type of climbing where one attempts to ascend a bounder (as opposed to a cliff) using one's own strength. 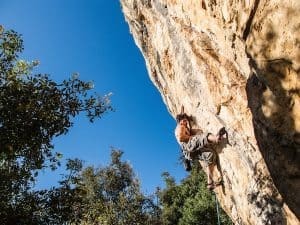 Bouldering is done without ropes for protection. Rather, boulderers use foam mats, known as crash pads, to protect themselves if they fall off of the bouldering ‘problem'. 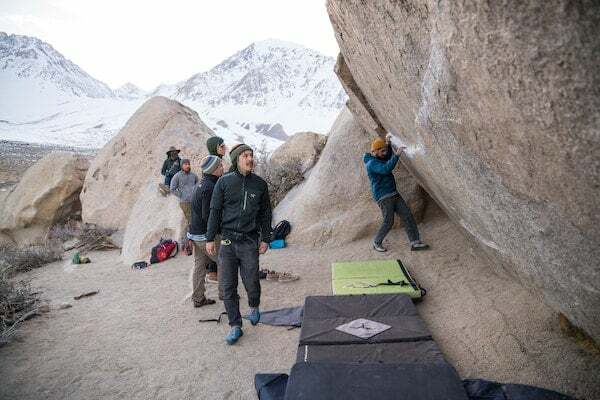 Bouldering problems are rarely more than 10 meters (30 feet) high and generally require significant strength and gymnastic abilities, particularly as the routes become more difficult. Sport climbing tends to require the same strength and gymnastic ability as bouldering but is done on cliffs and rock faces that are bolted and requires the use of a rope. These bolts provide the protection that a sport climber needs as they make their way up a climbing route. 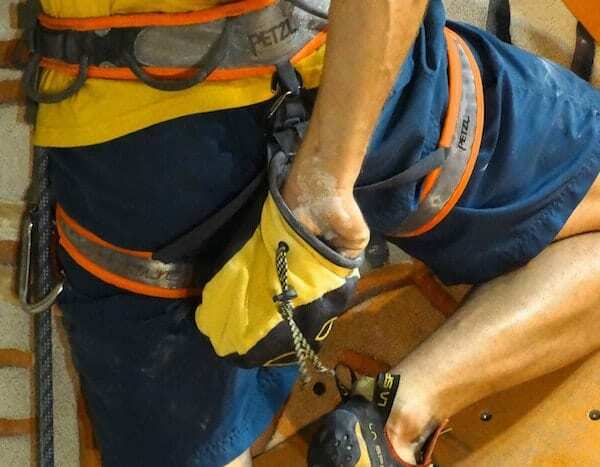 Since the climber starts at the bottom of a route, they must clip their rope into pieces of protection - in this case, bolts in the rock - which stop their fall should they slip off the route. Traditional climbing is the last of the main rock climbing disciplines. In trad climbing, the climber makes their way up the route in the same manner as a sport climber but instead of clipping into bolts, the trad climber must place their own climbing protection into cracks in the rock. Traditional rock climbing routes tend to be longer, more remote, and more committing than sport climbing routes, but can also be as accessible as their bolted counterparts. 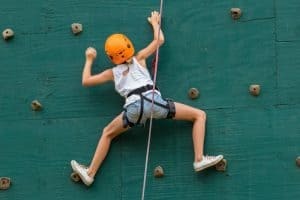 Climbing shoes - Regardless of the type of climbing you do, you’ll need a pair of climbing shoes. 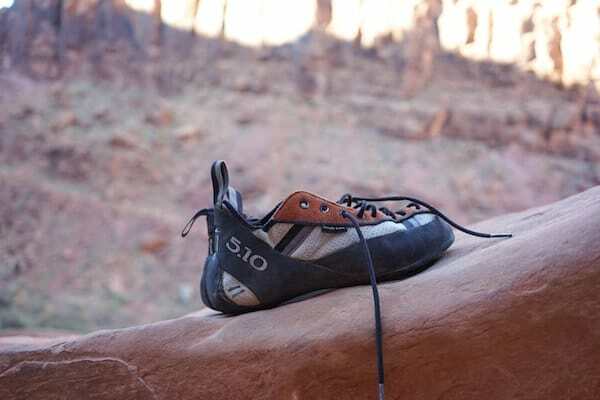 The most important thing, when it comes to climbing shoes, is to get a pair that fits and feels good on your feet. There are a whole lot of different styles and models out there, but when you’re starting out, a comfy pair of climbing shoes is a sure bet. Chalk bag - Although not mandatory for climbing, many climbers would feel lost without a chalk bag. A chalk bag is exactly what it sounds like - a small pouch for carrying chalk (also known as magnesium carbonate) while you climb. Chalk is great for drying out your hands when they get sweaty so that you maintain a good grip on the rock. Harness - Unless you exclusively want to boulder, you’ll need a climbing harness. 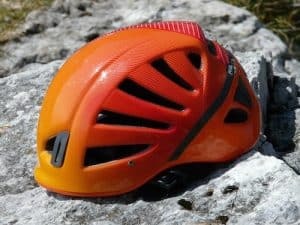 These come in all shapes and sizes, so finding one that fits, feels comfortable, and is within your price range should be your top priorities as a new climber. As you start to develop your skills, you’ll want a more specialised harness, but at first, a beginner’s harness will suit you just fine. 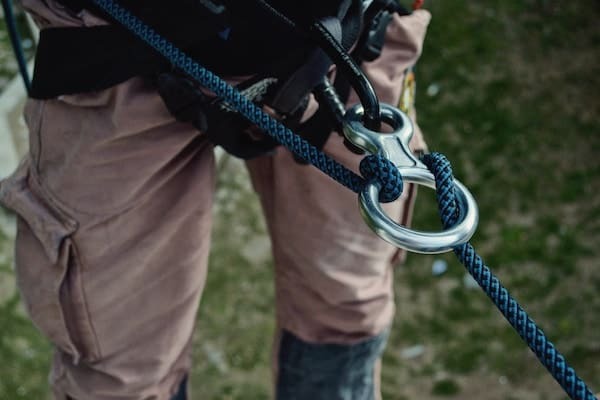 While it might seem easier to ‘just wing it', when it comes to something like climbing, which has plenty of inherent risks, it's important to seek out qualified instruction from certified climbing instructors and guides. These people can show you the ropes (literally) while also teaching you to properly manage risk during a climbing day. Guides and instructors that are certified through your national IFMGA/UIAGM governing body are a sure bet.